A pleasing land of drowsy head it was, Of dreams that wave before the half-shut eye;And of gay castles in the clouds that pass, For ever flushing round a summer sky. This book was first published in 1835 but the events take place some years prior – some time has passed since the American Revolution, so maybe in 1800? I think people reading The Legend of Sleepy Hollow in 1836 would have been quite familiar with all of this. 9. Ichabod – the name – the brother of Ahitub per the Book of Samuel (OT) Ahitub means good – there are several Ahitubs in the Bible. 9. 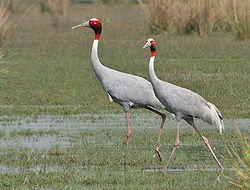 Crane – the name – sounds gawky – like the bird. 10. eel-pot – A kind of basket for catching eels, having fitted into the mouth a funnelshaped entrance, like that of a wire mouse-trap, composed of flexible willow rods converging inward to a point, so that the eels can easily force their way in, but cannot escape. “Teachers thought that each printed page was so important that it should be memorized. “Spare the rod and spoil the child” describes discipline in those days.” From Colonial Students. Also see American Elementary Schools in the 1600s. This book of Crane’s must be 50+ years old because if the Revolution has ghosts then it’s after 1778 and Cotton Mather died in 1728 – the Salem witch trials were in 1692 and he wrote about them in Wonders of the Invisible World (1692). It seems he wrote about witchcraft prior to the trials also. From Amazon! 17. The whip-poor-will is a bird which is only heard at night. It receives its name from its note, which is thought to resemble those words. 21. She was withal a little of a coquette, as might be perceived even in her dress, which was a mixture of ancient and modern fashions, as most suited to set off her charms. And here we come to the story of the quest for the maiden’s heart. I’m laughing out loud. LOTS of birds mentioned – why? Also lots and lots of food! 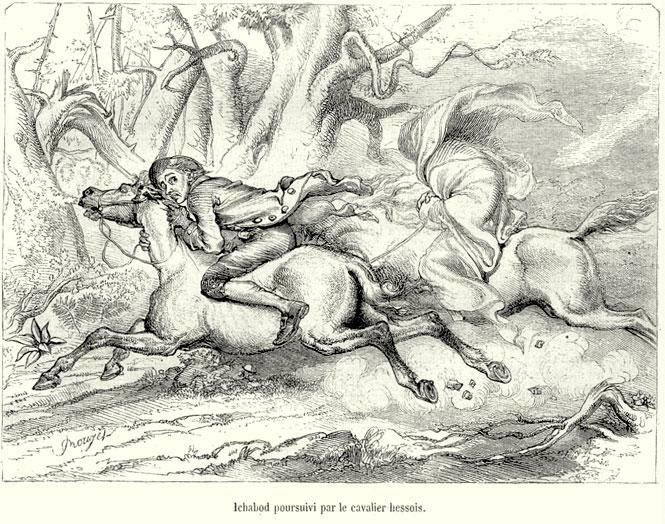 The legend of the Headless Horseman begins in Sleepy Hollow, New York. The Horseman was a Hessian of unknown rank, one of many hired to suppress the American Revolution. During the war, the Horseman was one of 51 Hessians killed in a battle for Chatterton Hill, wherein his head was severed by an American cannonball. He was buried in a graveyard outside a church. Thereafter he appears as a ghost, who presents to nightly travelers an actual danger (rather than the largely harmless fright produced by the majority of ghosts), presumably of decapitation.